Both of the individuals were rushed to a local hospital for treatment and are expected to survive. Police are searching for a suspect after a 17-year-old boy and an adult man were shot on the Westside Tuesday morning. 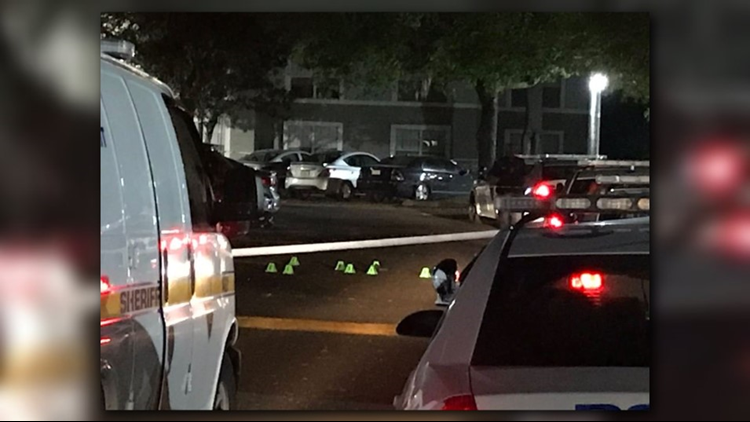 The Jacksonville Sheriff's Office responded to the Courtney Manor Apartments located at 5600 block of Collins Road around 2 a.m. When police arrived, they found two men -- one of them the 17-year-old -- with gunshot wounds inside an apartment.